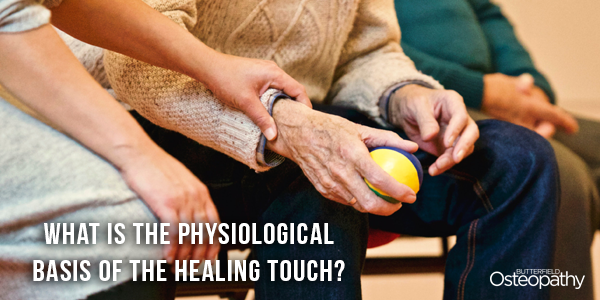 What is the physiological basis of the healing touch? Holding your partner’s hand can ease their pain. Around 100 million adults in the United States are affected by chronic pain – pain that lasts for months or years on end. 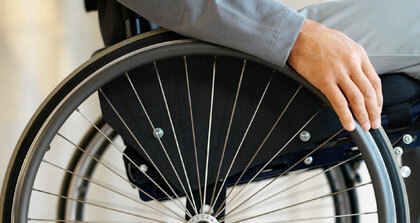 It is one of the country’s most underestimated health problems. The annual cost of managing pain is greater than that of heart disease, cancer and diabetes, and the cost to the economy through decreased productivity reaches hundreds of billions of dollars. Chronic pain’s unremitting presence can lead to a variety of mental-health issues, depression above all, which often intensifies pain. And our most common weapon against pain – prescription painkillers – generates its own pain, as the ongoing opioid crisis attests. But must we rely on pharmacology to stave off pain? Perhaps there is a more natural nostrum – partial and insufficient, but helpful nonetheless – closer to hand. Most pain research concentrates on a single, isolated person in pain. This allows researchers to simplify their analyses of pain, which is useful to a point, though it does yield a somewhat distorted view. The problem is that, outside of the laboratory, people are often not isolated: they take part in a social world. Without involving social interactions into the study of pain, we risk ignoring the part that social communication might play. New techniques have recently made it possible to monitor the physiological activity of several people simultaneously. This allows us to measure the level of synchrony between people as they take part in extreme or prosaic social situations, with some surprising findings. Participants and spectators of a fire-walking ritual were found to have synchronous heartbeats. So do people watching emotional movies together, choir singers singing together, and romantic couples gazing at each other and engaged in imitation tasks in the lab. How can interpersonal synchrony be facilitated? And might there be a way for such physiological coupling to contribute to pain relief? The answer lies in the simplest of human interactions: touch. Research I recently conducted with my colleagues Irit Weissman-Fogel and Simone Shamay-Tsoory at the University of Haifa suggested that interpersonal touch is an effective way of reducing pain. We recruited 23 romantic, heterosexual couples to participate in the experiment. The women received pain stimuli under varying conditions. First, alone, without their partners, and then with their partners, but without physical contact. In the third condition, the women held hands with their partners while receiving pain and, in the fourth, they held hands with a stranger. This study showed that the third condition – partner’s touch – resulted in enhanced pain-reduction in comparison with others. Moreover, women with highly empathetic partners reported increased pain-reduction associated with that partner’s touch. It seems, then, that this study empirically supports the idea that touch can transfer a partner’s empathy, thereby decreasing pain. And it happens that this finding dovetails with previous research showing that a range of emotions from disgust to love to fear can be effectively communicated solely by means of touch. In order to understand the physiological bases of our findings, we conducted an additional study that also measured synchrony. This time, 22 (different) romantic couples were invited to participate. Throughout the experiment, we calculated physiological synchrony by recording heartrate and respiration in each partner. There were four study conditions: holding hands, with pain; holding hands, without pain; not holding hands, with pain; and without either pain or holding hands. (Pain was again administered only to the females.) We explored interpersonal synchrony in both conditions without pain, and touch moderately enhanced the synchrony for the respiration. Surprisingly, synchrony disappeared altogether when pain was administered without touch, perhaps women participants focused almost exclusively on their own pain as a strategy to cope, leading to a physiological ‘disconnection’ from their partners. However, interpersonal touch enlivened synchrony between partners in both heartrate and respiration. Moreover, couples that demonstrated high touch-related pain relief showed enhanced levels of physiological synchrony, as did the couples with a highly empathic male partner. The investigation didn’t stop there. Under the same conditions, we studied inter-brain synchrony. This study highlighted the analgesic effect of synergistic touch and empathy, which might have important implications for acute pain conditions, such as easing the pain of going through labour. Indeed, the presence of partners during delivery is helpful in 60 per cent of cases, suggesting that the partner’s empathy and the quality of the birth interaction might explain the differences between the cases. Similarly, other studies showed that the father’s presence increased positive experiences in all aspects of childbirth. Therefore, future studies might concentrate on the clinical implication of these findings, investigating the efficacy of different touch aspects and using empathy training. Interpersonal touch has important social and affective meanings. Skin-to-skin touch is necessary to the development of premature infants. It contributes to the regulation of stress responses in adults, enhances trust, and provides comfort and emotional wellbeing. So while it’s unlikely that this research solves the problem of painkillers, it does propose a very simple pain treatment with an indispensable side effect: connecting with other people.